We are delighted to invite you along to CIDG’s public family evening on 30th November 2018. This is a relaxed social gathering designed for families and supporters of those living with cardiac inherited diseases that wish to engage, raise awareness and find out more about these conditions. 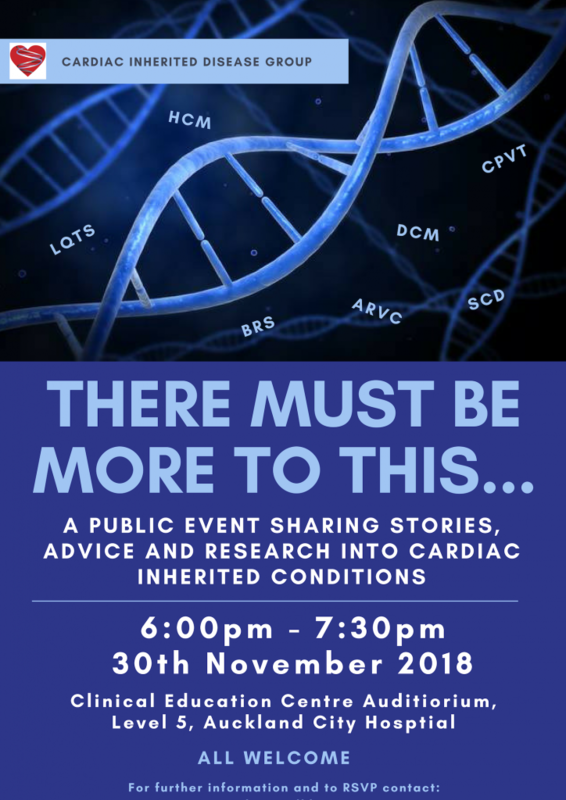 You will be able to “meet the experts”, hear some lively presentations and stories from three CIDG patients living with cardiac inherited conditions, and be updated about the fast moving world of clinical genetics and research. Light refreshments and nibbles will be available. You are welcome to arrive from 5:30, with the talks starting at 6:00pm.